All three Slideways Go Karting Centres will be open with regular trading hours on Australia Day 2017, for all of your go kart racing needs in Brisbane and on the Gold Coast. Why not get in one last session before the school holidays finish? Both of our indoor venues, Slideways Go Karting Brisbane on Kingsford Smith Drive in Eagle Farm, and Slideways Go Karting Gold Coast on Spencer Road Nerang, will be open from 10am – 10pm, while Slideways Go Karting World on the Old Pacific Highway Pimpama (only two minutes from Dreamworld) will be open from 9am – 5pm. All Slideways venues are open every day of the year, with the exception of Christmas Day, and a late opening time on Anzac Day. At Slideways Go Karting Brisbane, why not try out our freshly altered race track? Customers have been loving the fast sweeper following on from the bridge section, while the new sequence of switch back corners opens up several overtaking opportunities. Slideways Go Karting World at Pimpama offers the Gold Coast’s best outdoor karting experience. Why not get in some practice ahead of the venue’s packed calendar of social racing events? 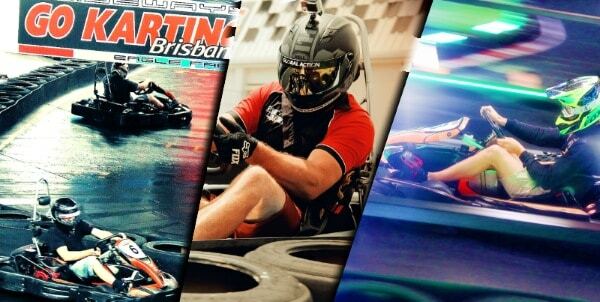 Racers meanwhile are flocking to Slideways Go Karting Gold Coast’s three storey indoor race track, and especially the brand new air conditioned Family Lounge Area, which features the K’Indy Track, especially designed for kids ages three to six. Your best bet to save some money on Australia Day, and every other day, is with a Slideways VIP Gold Pass. For $100 you receive four 10 minute adult sessions, working out to $25 per session. The credits never expire, and can be used at any of our three venues on any day. Many racers split their credits between the different venues, so why not try all three in one day?! On Australia Day, Thursday January 26th 2017, think Slideways Go Karting!